Whirl Wet dust collectors perform at high efficiencies: 99%+ range for a broad variety of soluble and insoluble particulate. Units are self-cleaning; particulate is deposited at the bottom of the unit as a dense filter cake. The patented design has no moving parts, does not use “maintenance” components such as nozzles or pumps, and consumes minimal water. 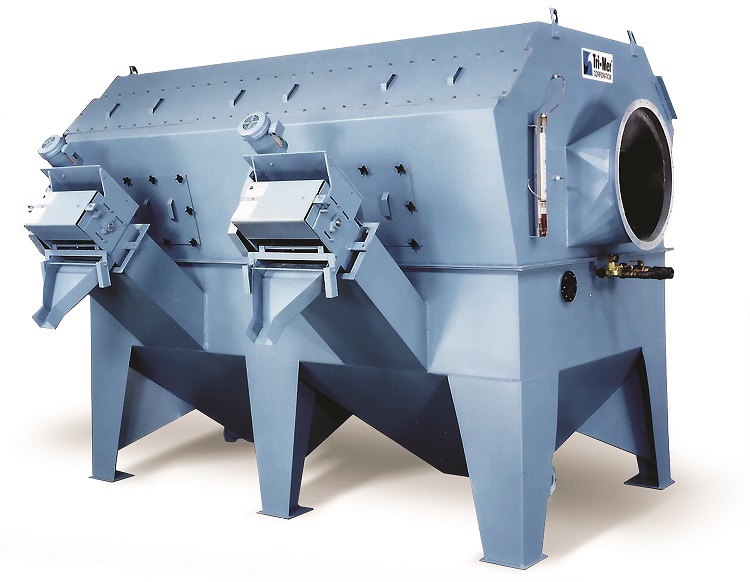 Energy generated inside the unit will not allow the system to clog under any operating conditions, so the agglomeration and sticky residues that plug other dust collectors are not an issue. Several models are tailored to the dust loading, including the Model MCD, which operates continuously, without shutdown. Capacities are 500 to 50,000 cfm. Construction is PVC, polypropylene, stainless steel, or alloy materials.